The next stage of the competition to design a civic flag for East Lothian is here – now it’s your turn to get involved by voting for your favourite design. 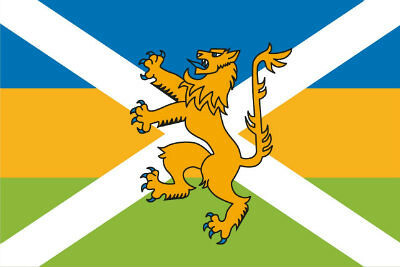 The competition to design a unique flag for East Lothian launched in November and attracted the highest number of entries for any civic flag design competition across Scotland. The judges received 623 entries from East Lothian, the rest of the UK and even from as far away as the USA and New Zealand. Four flag designs have been short-listed to go forward to a public vote. The voting process is now open and runs until the end of August, with final votes being accepted no later than 5.00pm on Friday 31 August. You can vote using our online form or by filling in the form printed in the East Lothian Courier. You can also pick up a hard copy of the ballot paper at council offices and libraries. Results will be kept under wraps while preparations are made to have the winning design made into a flag, which will be launched around St Andrew’s Day in November. The flag will then be available for everyone to use. Run jointly by East Lothian Council and the Scottish Flag Trust, in association with the Lord Lyon and East Lothian Courier, the competition was open to anyone and was free to enter. The judging panel involved the Lord Lieutenant of East Lothian, Michael Williams MBE; Lord Lyon Joseph Morrow; East Lothian Council Provost John McMillan and Chief Executive Angela Leitch; David Williamson, Chair of the Scottish Flag Trust and Robbie Scott, Editor of the East Lothian Courier.